I have known this mom for a long time. She could probably tell you stories about my crazy teaching style as she once was a student in my high school chemistry class. 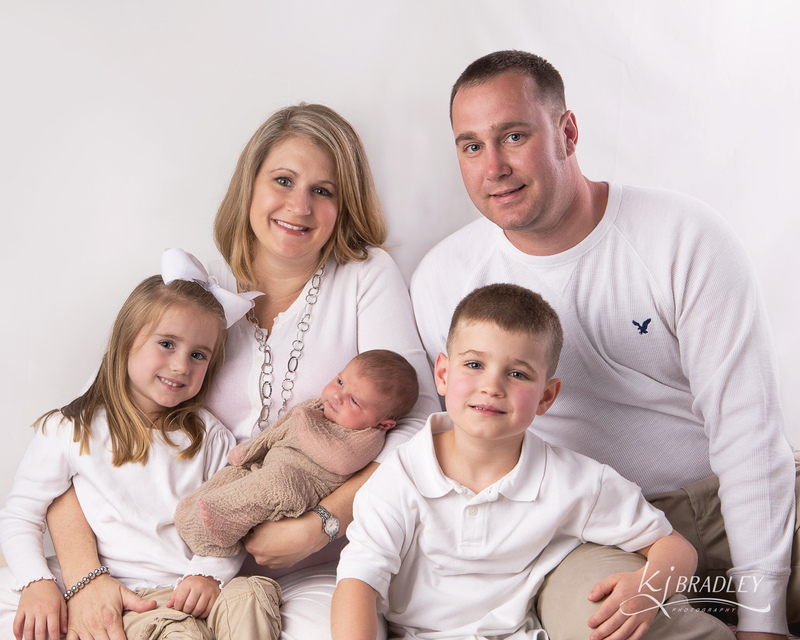 I am so proud to know her and to be able to see the strong Christian mom she has become. 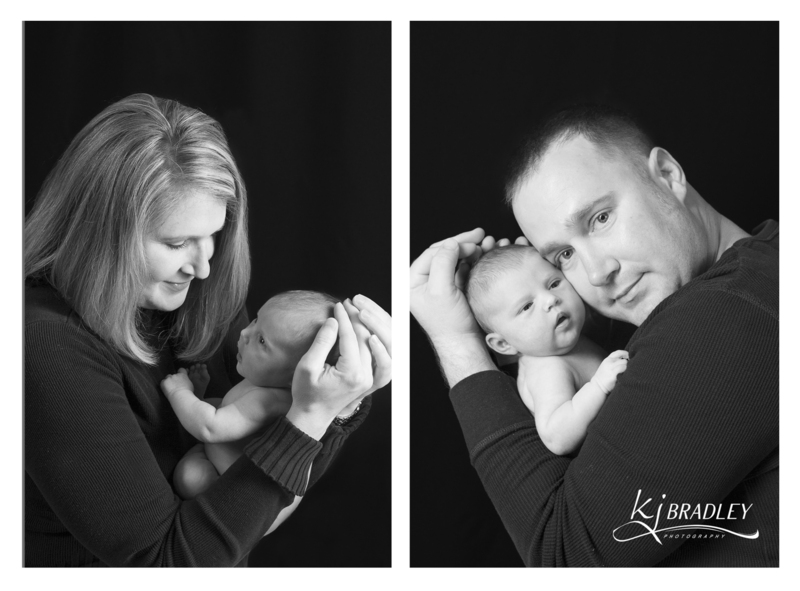 When she had her third child I was excited to be able to share in the joy with a newborn session. 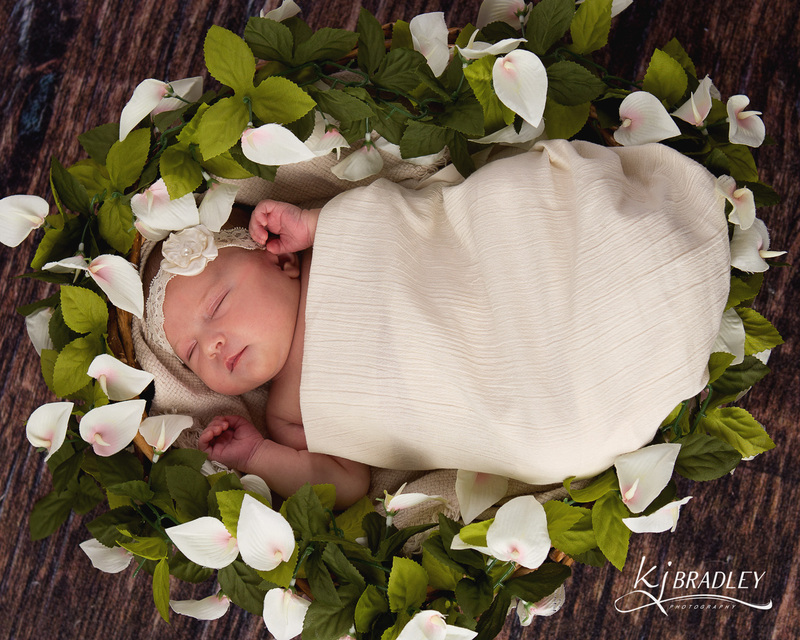 Some people say newborn photography is a just a trend or fad. Maybe so, but I wish it had been the trend when my babies were born. What I would give to have even one sweet image like these! 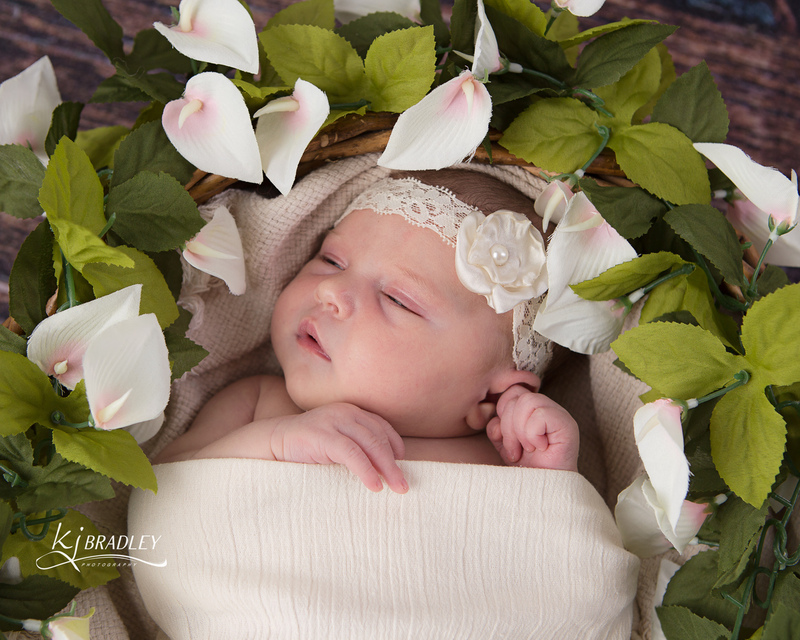 After so much loving from her family, she was not ready to sleep so we got some beautiful images with her eyes open, too. 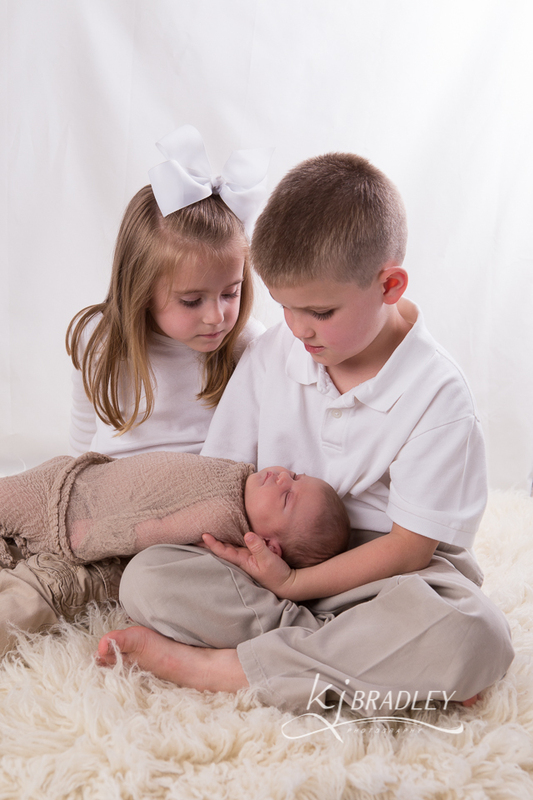 As a bonus, I was able to meet the family and get a few tender images with the big brother and sister and even grandma! 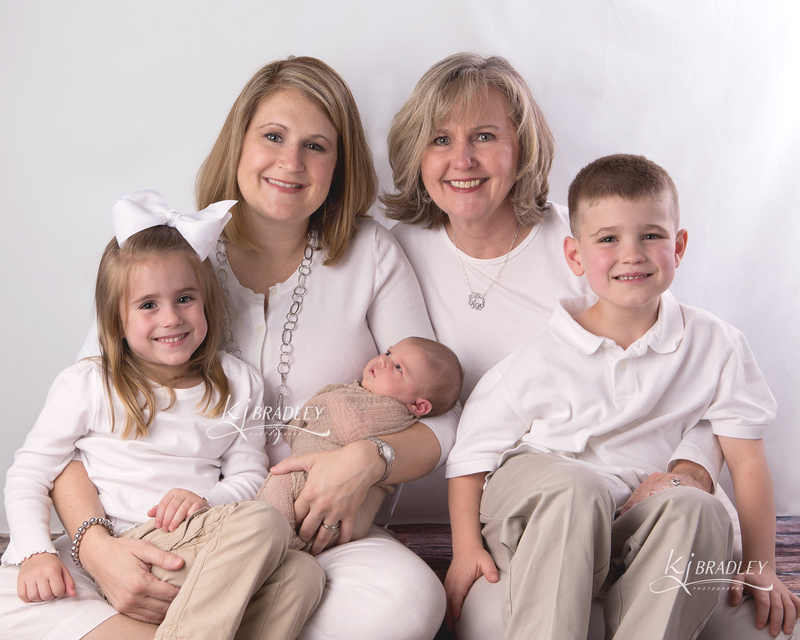 It is not everyday you get a professional portrait of four generations! 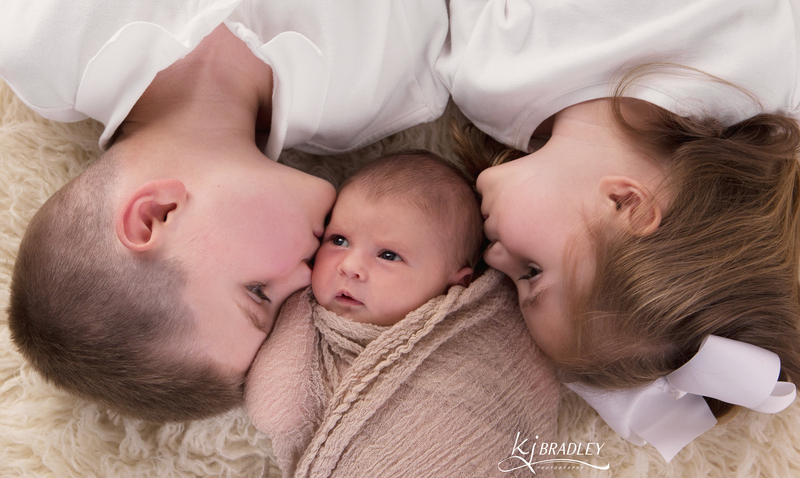 If you are having a baby or if you want to capture special family memories, please contact me early for details and a reservation. 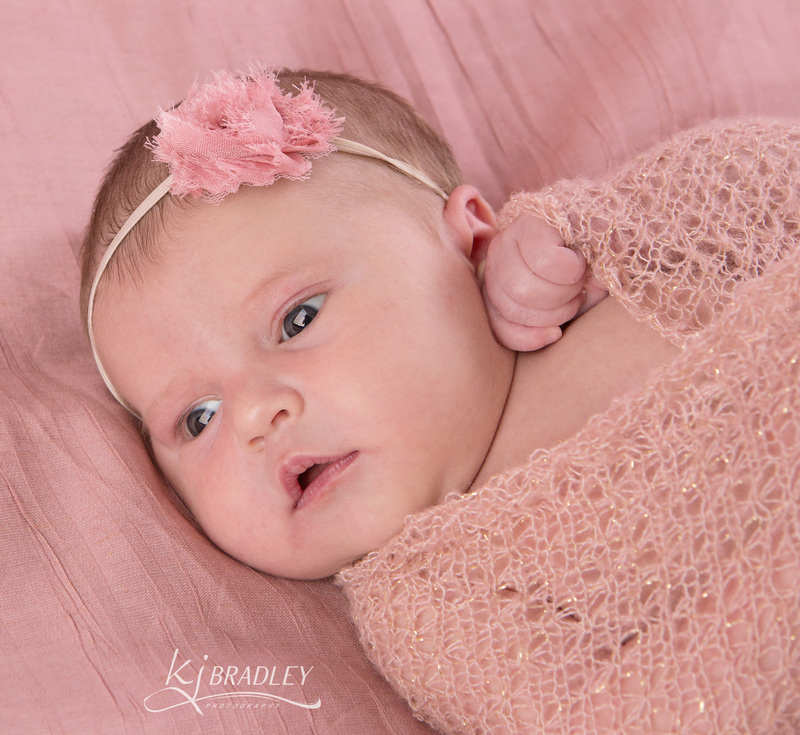 You can also see more beautiful newborn sessions on my website www.kjbradleyphoto.com and the facebook page.